At a time when underrepresented and racial/ethnic populations in the U.S. are growing rapidly, it is critical to examine the historical roots of why they continue to be underrepresented in science, technology, engineering and math (STEM) fields. 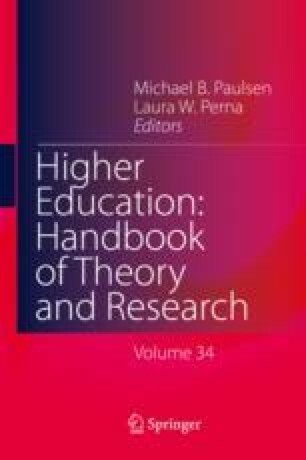 This chapter reviews the literature regarding how race and racism have contributed to modern-day STEM cultures utilizing a conceptual framework guided by critical race theory and Hurtado, Alvarez, Guillermo-Wann, Cuellar and Arellano’s (2012) Model of Diverse Learning Environments. Science is a key contributor to the historical construction of racial differences, and this logic continues to the present day in the way merit is constructed and evaluated in STEM. The lack of progress toward substantially lessening gender and race disparities in many STEM fields can be partially attributed to the culture of the STEM academic fields. We draw connections between science’s role in the construction and application of race in society to the culture of STEM, which can feel exclusionary and isolating to underrepresented students. The chapter concludes with a discussion of interventions that have been shown to have an impact on the transformation of institutional (and disciplinary) cultures to better support the educational outcomes of underrepresented students.